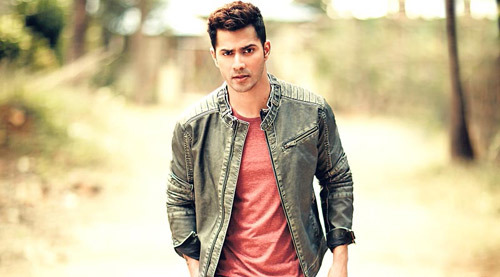 Varun Dhawan hurt by media! How & Why? Varun Dhawan hurt by media! How & Why? Home > varun dhawan > Varun Dhawan hurt by media! How & Why? "The boycotting of Dilwale by a certain section did hurt as an actor, as an artiste. We made the film for the audience to enjoy," said Varun Dhawan in a Bollywood Hungama exclusive video interview to Faridoon Shahryar. "This whole thing hurt Rohit sir, Shah Rukh sir tremendously. You have to take it in your stride. I didn't have to deal with it technically. One feels bad. The whole thing has settled down. Shah Rukh sir has spoken to people and everything has settled down," Varun added. There had been sporadic protests by a certain section of political parties who forcibly stopped the screenings of Dilwale in various parts of the country citing Shah Rukh Khan's comments on the rising intolerance in India. "Our release wasn't a tension free release. It wasn't a normal release. People in the media knew about it but they didn't write about it for some reason. People keep on telling us that stand up for something but when we do stand up, we don't get the support from the media or the film fraternity. It hurt me. I felt bad about the whole thing," said a visibly hurt Varun Dhawan.